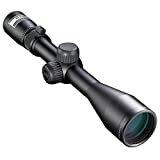 Looking for the best scope for .270? Read on! The .270 Winchester is one of the more popular hunting rounds used to hunt larger game such as deer, elk, and moose. Winchester Repeating Arms commercialized this rifle cartridge in 1925 for their bolt-action model 54 rifle. In modern times, however, gun manufacturers offer this chambering system for a wide variety of firearms ranging from single shots, bolt and lever actions, to pump action, auto-loaders, and double rifles. The .270 Win is a favorite round among hunters who appreciate its widespread availability, consistency, terminal ballistics performance, and moderate recoil. Of course, reliable ammunition such as this performs best alongside high-quality optics. Therefore, there’s no reason why your scope shouldn’t be as dependable as your ammo. With that in mind, this post will offer a few suggestions to help you choose the best scope for 270 Winchester round compatible rifles. First, let’s learn a little more about the .270 Win. At the time of its introduction, the .270 Winchester was marketed as an ideal option for big game shooting in the 370 to 910 meters (404 to 995 yards) range. Over the years, more round loads have been introduced by ammunition manufactures and now you can find bullets for the .270 Win chambering system in 100-160gr sizes. Depending on the ammunition’s weight in your .270 Winchester cartridge, this round fires fast and precisely at ranges of up to 600 yards in open fields. So, when choosing a scope for your .270 Winchester rifle, make sure to take into account the ammunition’s effective firing range. For close range shots, this round can be very accurate since the bullet starts to drop below the line of sight at 150 yards. However, the .270 Win experiences less bullet drop compared to other long-range calibers such as .308 Winchester or .30-06 Springfield. This is why it belongs to the category of “flat trajectory rounds”. In most cases, a 3-9x variable power scope would normally fit the bill when looking for telescopic sights that will work well with a .270 Win rifle. If you’re planning to hunt down fast moving game from close range with your .270 win rifle, then the Leupold VX-R is a suitable scope. Its low 1-4x magnification power and motion sensing reticle makes it easy to target a running animal. This hunting scope features an illuminated FireDot reticle as well, which will come in handy if you intend to hunt at dusk or dawn. When it comes to ruggedness, the Leupold VX-R doesn’t disappoint at all. Scratches will not ruin your lenses too thanks to the DiamondCoat glass fitted on this scope. Like most Leupold scopes, the VX-R features a fogproof, waterproof, and shockproof design. For shooters wishing to use their .270 Win rifles from close to medium range, the Nikon Buckmaster makes a great choice. It’s a 3-9x variable scope jam packed with features such as a 40-mm objective lens, BDC system, Brightvue anti-glare glass, o-ring sealing as well as a fog and waterproof housing. This Bushnell scope can be an invaluable tool in any hunter’s tool kit. It’s a 4-12x variable power scope equipped with a 42-mm objective lens and fully multi-coated optics, which deliver HD clarity. Powered by a mil dot reticle and built-in range finder, this model allows for precise holdover with a maximum effective range of up to 800 yards. The scope’s Laser Range Finder (LRF) uses a 3-Volt battery that can last up to 5000 fires while providing accurate performance every time. Bushnell went ahead to build a weather resistant body for their Mil dot LRF riflescope to make it one of the best rugged models for long range shooters using .270 win rounds. If your rifle is designed for the .270 Win chambering system, choosing the right scope for it is not that difficult. All you need to do is compare scopes that are suitable for your particular round and rifles’ shooting range, and the distances from which you want to shoot targets. The suggested scopes in this guide are by no means a conclusive list. However, these models will definitely serve as a starting point when looking to buy the best scope for 270 win rifles. The Nikon P-300 offers 2-7×32 magnification with the BDC SuperSub reticle calibrated to work with supersonic or subsonic ammunition and compatible with Spot On Ballistic Match Technology. The reticle rifle scope provides fantastic precision and magnification and is incredibly easy to use. If you’re looking for a scope that is highly easy to use and that provides amazing accuracy and rapid adjustment at a very affordable price then it may be a good choice. Read on for the full review. The P-300 BDC is a great value scope that can affordably and easily provide extra magnification and accuracy to your firearm. The BDC SuperSub Reticle is designed for both subsonic and supersonic ammunition and is made from Nikon’s multicoated optics to provide maximum light transmission and accuracy. The end result is a very clear image that allows for pin-point accuracy. The focus can easily and quickly be adjusted via the eyepiece which ensures you won’t be squinting down your scope. Adjustments are very easy to make using the Spring-Loaded Instant Zero-Reset Turrets which provides audible feedback to make life easier. The P-300 BDC has great customer feedback on Amazon with a current score of 4.5 stars based on 43 reviews. Nikon is a well-known and trusted brand name when it comes to optics and magnification and so it should come as no surprise that they’ve created a reliable scope offering great magnification and build. 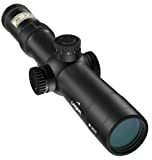 At $199.95 this is not the most expensive scope and so if you are looking for an absolute top-of-the-range solution you may want to look elsewhere. However, for the money it provides fantastic value and it is certainly accurate enough for the majority of shooters. The Nikon Buckmaster Riflescope line is an affordable rifle scope that also offers high quality optics. By reviewing the Nikon Buckmaster 4.5-14×40 Riflescope’s specifications and features, we will hopefully assist you in deciding if this is the ideal rifle scope for you. The Nikon Buckmaster Riflescope line is what happens when the respected optics company, Nikon Sport Optics, and the well known sporting organization, Buckmasters, teams up to create quality products. The Nikon Buckmaster 4.5-14×40 Riflescope is no exception to this. The scope gets its name from the magnification it boasts, which ranges from 4.5x to 14x, and the scope’s 40 millimeter objective diameter. The exit pupil measures at 1.9 to 8.9 millimeters. This rifle scope offers 3.6 inches of eye relief. Buyers can pick between the option of mil-dot, bullet drop compensation, or having a Nikoplex reticle, but the two specific scopes that are available are the Nikoplex reticle and the bullet drop compensation reticle. The unique, bullet drop compensating reticle is a feature that allows the rifle scope user to compensate for trajectory. The bullet drop compensation allows for fast and simple aiming over a variety of distances thanks to its calibration. The system, a special Nikon design, employs small circles on the reticle to create an unobstructed target view. Nikon’s Brightvue system of anti-reflective, multicoated lenses that provide big game hunters with over 92% anti-reflection capability from dawn to dusk. At one hundred yards, the field of view ranges from 6.8 to 19.9 feet. One quarter minute of angle reticle adjustment graduation allows for use by hunting rifles, muzzle loaders, and rimfires for a maximum of 50 internal minute of angle adjustment. The scope also features a parallax setting that ranges from 50 yards to infinite. The Nikon Buckmaster 4.5-14×40 Riflescope measures at 14.4 inches long and weighs around 17.6 ounces. The Nikon Buckmaster 4.5-14×40 Riflescope has earned high ratings and praise in user reviews. Owners appreciate the limited lifetime manufacturer’s warranty and the waterproof, fogproof, and shockproof guarantee that each Nikon Buckmaster 4.5-14×40 Riflescope includes. Many customers were pleased with the low cost, especially since they did not have to purchase a scope that might have been more costly than the rifle it was meant for. Reviews boast of the scope’s clarity, especially in low light settings. Comparable products for similar prices do not usually have the magnification power of the Nikon Buckmaster 4.5-14×40 Riflescope. The product is made in the Philippines, despite Nikon’s Japanese origin. 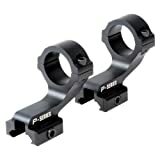 Nikon mounting rings and other accessories are the suggested product to use with these scopes. For the cost, the Nikon Buckmaster 4.5-14×40 Riflescope presents itself as a capable rifle scope that exceeds its competitors in the similar price bracket. If you feel that you are the a member of the target audience and that this rifle scope is the right choice for you, you might consider the Nikon Buckmaster 4.5-14×40 Riflescope as a potential future purchase for yourself.